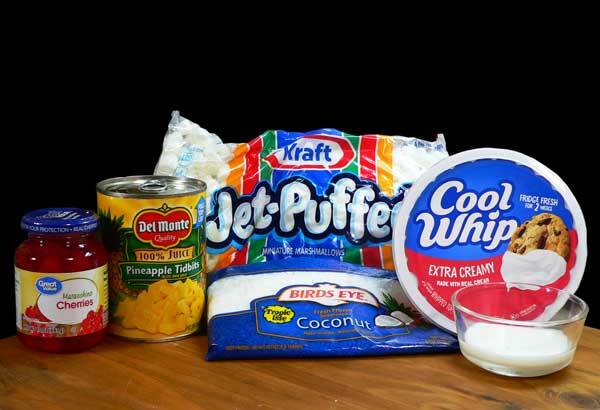 Follow our step-by-step, photo illustrated recipe to make this old time favorite Heavenly Hash with Cool Whip. Printable recipe included. Heavenly Hash, made with Cool Whip and coconut. Super quick and easy to make. 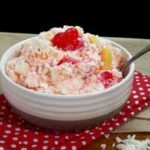 Here’s an old favorite dessert that’s really super easy to make. You might even want to get the kids in the kitchen to help you. Make some memories with them. You’ll find lots of variations on how this should be made, I’m just sharing this simple version with you. 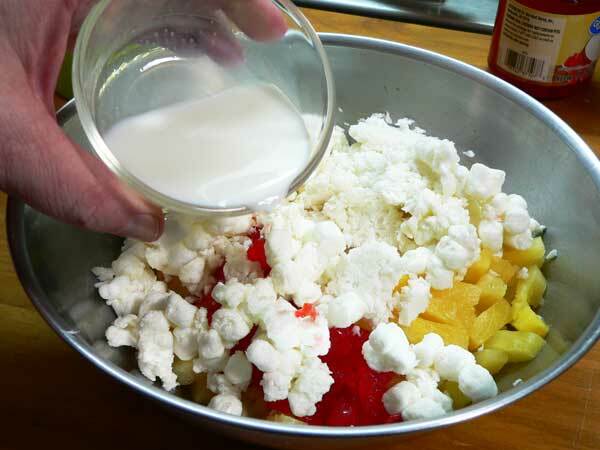 This recipe uses Cool Whip topping, coconut, and pineapple tidbits. I’ve seen it made with crushed pineapple, fruit cocktail, nuts, and more. Lots of room to experiment and find what you and the family like the best. I could have used some kid help when I made this. Smile. The recipe called for a small can of Pineapple Tidbits (8 1/4 ounces) but I had this larger 20 ounce size. 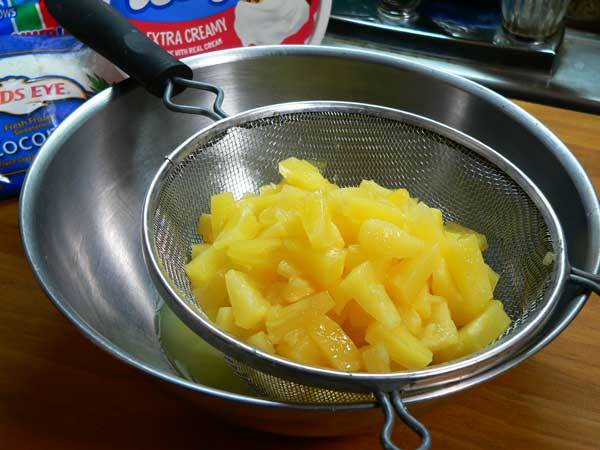 After I drained the pineapple, I just dumped the whole can in the bowl and started adding the other ingredients. I was finished when I realized I should have only added half the can at the most. The printable recipe lists the correct amounts, so just follow that and you’ll be good. This is not overly sweet, and as mentioned, the kids will enjoy helping you. Ready to try it? Alright then, let’s head on out to the kitchen, and… Let’s Get Cooking. Heavenly Hash – You’ll need these ingredients. Drain the juice off the Pineapple Tidbits. Remove as much liquid as you can. Don’t throw the juice away though, it’s good to sip on while you make this recipe. Chop the cherries. I think I counted twelve in 1/4 cup. 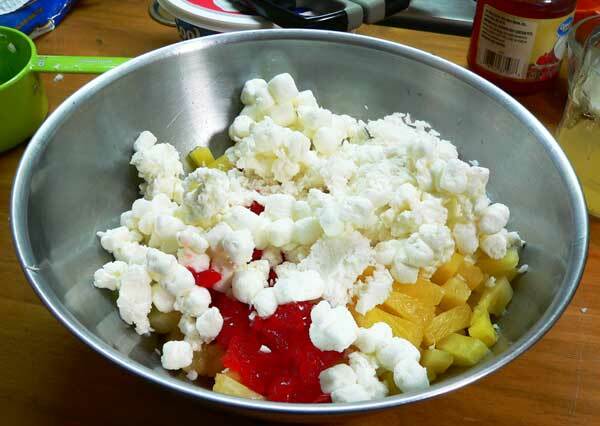 Place the pineapple tidbits and the chopped cherries in a large mixing bowl. I think it would be worth the effort if you would just let the bowl sit for a couple of minutes, then drain off the juice that will come out of the fruits. Just a thought for you. I used the grated frozen coconut that I really love to use with my coconut cake recipe. It’s just perfect for my cake. I had a couple of bags in the freezer so that’s what I used. This is one time though that the Sweetened Flake Coconut in the bag might would have worked better. Your choice of course. Smile. 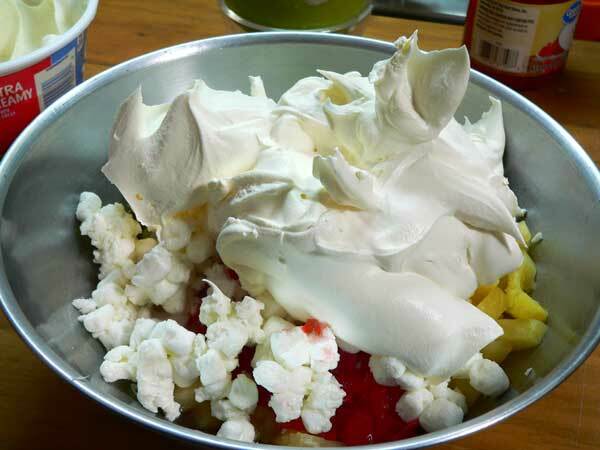 Finally, add in the whipped topping. The recipe calls for two cups. I still had some leftover in my container so it doesn’t take all of it in case you’re wondering. Grab a large spoon and gently fold all the ingredients together. Keep stirring until everything is fully combined. COVER the bowl and place it in the refrigerator for at least one hour. Remove from the refrigerator just prior to serving so it stays cool. Super easy to make recipe with step-by-step, photo illustrated instructions on Taste of Southern.com. 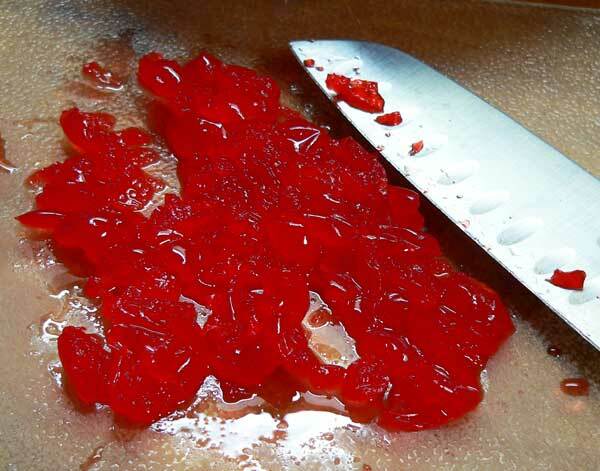 ¼ cup Maraschino Cherries, chopped. 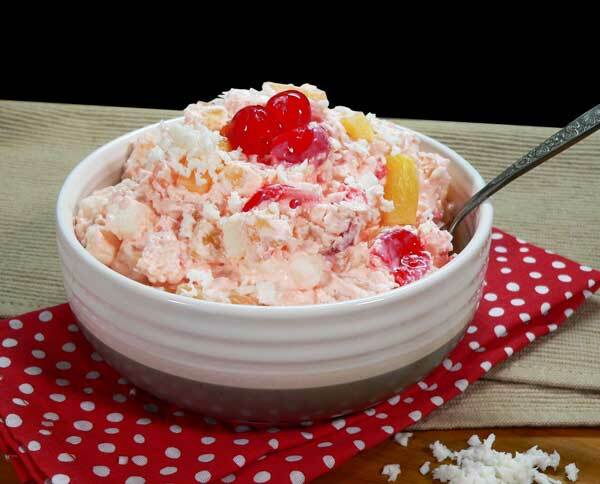 Place pineapple tidbits and cherries in a large mixing bowl. Gently fold ingredients until fully combined. 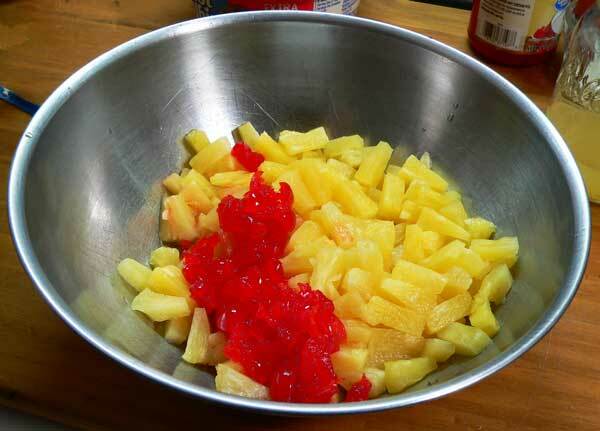 Place bowl in refrigerator and chill mixture for 1 hour. 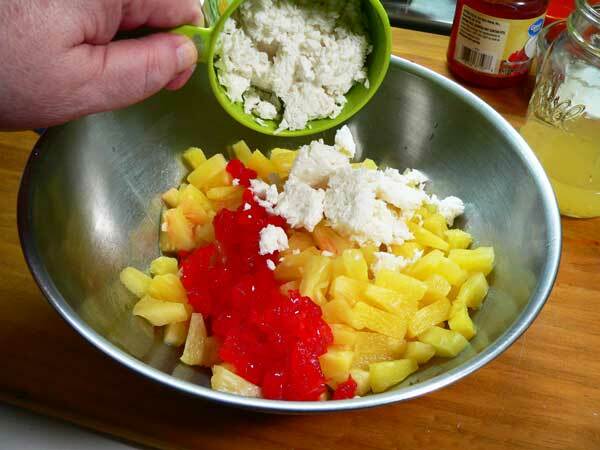 Can also be made with crushed pineapple instead of the tidbits if you prefer. Ever had this Heavenly Hash? What did you think of it? Share your memories of this great dish with us. It will only take a minute or two for you to leave your comments in the section below. I like this variation of this recipe. And gosh, after all these decades of making something similar for every Easter, Thanksgiving meal.. I’ve never thought to chop up the cherries! We’ve just plopped them in whole, after draining that tasty cherry juice of course. Been making this for about 35 years, but with added cold rice. Really good. Thanks for the reminder of this recipe! Definitely makes me think of Spring and picnics outside. The ingredients have been added to my grocery list. I’ll try it with farm cream which I can get around the corner. A country corner. And whip it myself. Never went for Cool Whip. And remember those commercials? I commiserate about arbitrary and capricious computers. It’s not Spring yet north of Cuba. But it always shows up. I make something like this. I put the colored miniature marshmallows in for nice color. 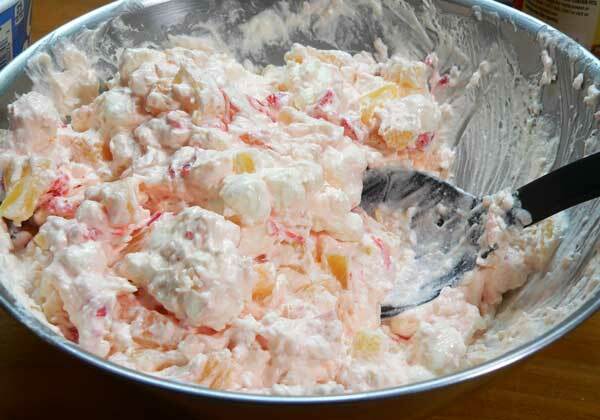 I grew up eating this at picnics and Family get-togethers! This takes SO MANY dishes off the menu!